A Donegal man who received a so-called “comfort letter” in relation to the 1982 London Hyde Park bombing, has been given a date to appeal his proposed extradition to face charges over a 1972 double murder. 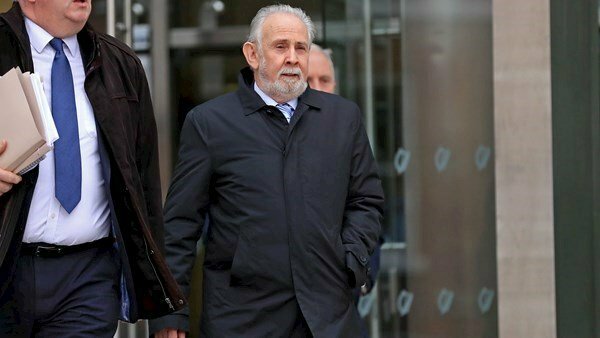 Northern of Ireland authorities are seeking to extradite John Downey (67) to face prosecution for the killing of two British Army Infantrymen as well as aiding and abetting the causing of an explosion on August 25, 1972. Ulster Defence Regiment (UDR) soldiers Lance Corporal Alfred Johnston and Private James Eames were killed when a device exploded in a vehicle they were checking on the Irvinestown Road, Cherrymount, in Enniskillen. Mr Downey was arrested in November last year at his home address in Co Donegal on foot of a European Arrest Warrant. He told detectives he believed “it was the DUP and not the DPP” who decided to prosecute him. The High Court in Dublin ordered Mr Downey’s extradition in March, despite objections on grounds of delay and a letter of assurance he believes amounts to a pardon or amnesty. Mr Downey’s trial in relation to the 1982 London Hyde Park bombing, in which four soldiers and seven horses were killed, collapsed in February 2014 over a letter sent to him and other alleged militant Republicans. The so-called “comfort letters”, issued by the Tony Blair government, told Republicans they were not wanted for prosecution of crimes committed during the troubles. The “on-the-run” scheme and letters, which fully emerged following the collapse of Mr Downey’s 2014 trial in relation to the 1982 Hyde Park bombing, triggered a major political controversy and lead to an inquiry. Mr Downey has lodged an appeal against his proposed extradition to the North of Ireland. During case management procedures today, President of the Court of Appeal Mr Justice George Birmingham fixed May 27 next as the date for hearing of the appeal. In the High Court, Mr Downey’s lawyers said their client had recently turned 67 and it was “safe to say” he was not in good health. He faced the prospect of a lengthy trial process and there was no guarantee he would be admitted to bail. Garnet Orange SC, for Mr Downey, said there was doubt over whether alleged evidence in relation to the 1972 bombing “actually exists anymore”. Mr Downey’s fingerprints are alleged to have been found on adhesive tape recovered from a battery pack used in the Enniskillen bombing, the High Court heard. However, Mr Orange said the adhesive tape was subsequently lost for a number of years and it was unclear whether it actually still existed. He said the northern Irish prosecution intended to rely on statements from two critical prosecution witnesses in relation to the tape and its analysis, who were now deceased. Ordering his surrender, Ms Justice Aileen Donnelly, the High Court judge in charge of extradition, said she rejected each of Mr Downey’s objections. Ms Justice Donnelly said it was “clear that the public interest in his surrender is extremely high in light of the offences” and that this remained the case despite the delay in time. A man’s denial that he knew anything about 167kg of explosives found inside his “heavily laden” car – including detonators sticking out from the passenger seat – has been found to be “totally incredible” by the Special Criminal Court. Armed gardai found four bags of explosives in the boot of the black Skoda Fabia car and 18 detonators under the front passenger seat when they stopped the vehicle on the Naas Road, the court has heard. Mr Justice Tony Hunt said today that the facts of the case proved that both men were “in joint control” over the substances found in the car and that they were guilty of having the explosives. John Roche (55) and John Brock (46), had pleaded not guilty to possession of 57kg of homemade explosives, consisting of ammonium nitrate fuel mix, and thirty-eight 2.5kg rolls of Kemegel industrial explosives at Naas Road, Dublin 12, on April 13, 2016. Delivering judgement today, Mr Justice Hunt, presiding, sitting with Judge Patricia Ryan and Judge Ann Ryan, said that Roche had travelled from his home in the inner city to Behans Quarry on Windmillhill in Rathcoole, Co Dublin “for a specific purpose”. “That was not to consume and purchase fast food as he asserted to gardai but to travel to the quarry for the purpose of collecting materials and he was apprehended on his return,” said Mr Justice Hunt. 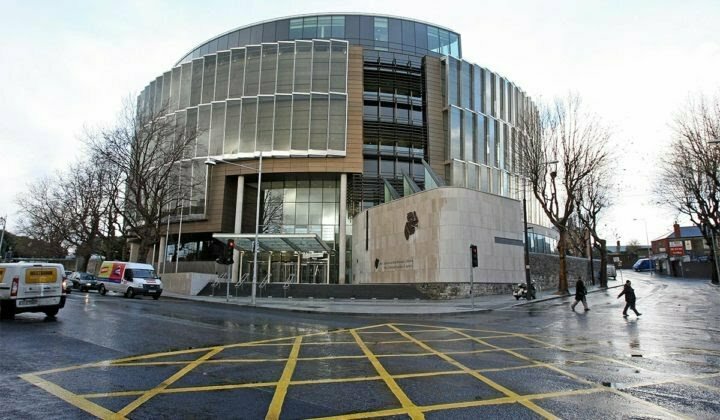 The Skoda car which Roche was driving on the evening was observed by gardai to be “heavily laden” with a large quantity of explosive materials, which are typically used in a quarry, said the judge. No one driving such a small car would be unaware of the weight of over 23 stone of explosives as well as “openly visible” detonators under the front-passenger seat, outlined the judge. As driver and owner of the car, Roche had full control and awareness of its contents, he added. 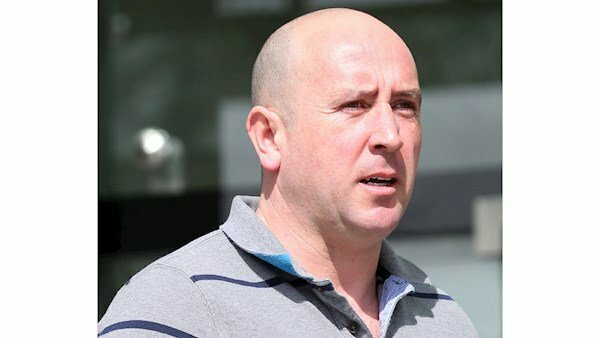 Detective Sergeant Peter Whelan gave evidence in the trial that he could see between 15 and 20 detonators “sticking out” from underneath the front passenger seat of the car when he stopped it on the Naas Road on April 13. Four heavy duty plastic bags were in the boot of the car and two of these bags contained a powder mix which looked like homemade explosives, he said. Mr Justice Hunt said Roche’s denial that he was not at the quarry or knew what was in the car that evening were “totally incredible”. The substances were possessed for the purpose of an unlawful organisation, he indicated. Roche told gardai in his interviews that he knew nothing about the 167kg of explosives which were found in his car. The defendant was also asked to account for his presence at Behans Quarry but said he was not there. Sections 18 and 19 of the Criminal Justice Act were invoked in subsequent interviews with the two men. These sections allow a court to draw inference from one’s failure or refusal to account for certain matters. In conclusion, Mr Justice Hunt said the body of evidence against Roche was “sufficient” to establish his guilt and no further corroboration such as the “untruthful and misleading” answers he had provided at interview were needed to establish a guilty verdict. In relation to Brock, the court was satisfied that his meeting with Roche in Rathcoole was not “a random coincidence” but prearranged for the purpose of moving a very significant quantity of explosives, he said. As a front-seat passenger in a relatively small car, it was not reasonably possible that Brock was unaware of the “bulky load” and the detonators “protruding” from under his seat, explained the judge. Brock did not engage in “implausible denials” with gardai unlike Roche, said the judge, adding that his failure or refusal to answer questions inferred that there was no explanation other than “guilty knowledge”. The court has heard that Brock gave no reply when asked by gardai to account for the presence of 167kg of explosives in the car in which he was a front seat passenger. Mr Justice Hunt said that the evidence against Brock was “more than sufficient” to also establish his guilt. The convicted men were remanded in custody until Monday, when they will be sentenced. During the men’s trial, three members of the National Surveillance Unit (NSU) testified that they saw both defendants in the Skoda car at the gates of Behans Quarry on Windmillhill in Rathcoole, Co Dublin, minutes before they were observed on the N7. 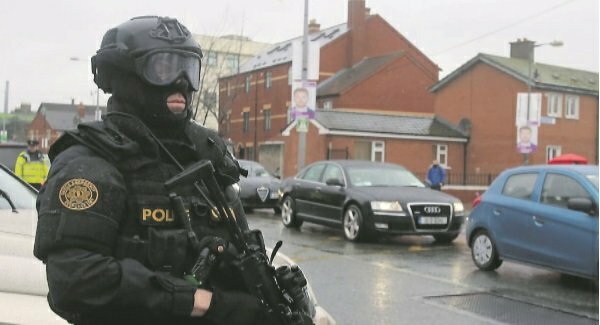 Detective Sergeant Peter Whelan said that he had received information that members of the IRA may be in possession of explosives on the evening in question. As a result, he and his colleague Detective Garda William Skelly stopped a black Skoda Fabia car at a junction on the Naas Road at 7pm, the court heard. Det Gda William Skelly testified that he had his official firearm drawn when he opened the front door of the Skoda car and asked Roche to get out and lie face down on the ground. Both men were arrested under Section 30 of the Offences Against the State Act. Forensic scientist Dr John O’Shaughnessy told the three-judge court that he examined items recovered from the Skoda car and said he was satisfied that the samples provided were all explosives under the Explosive Substances Act 1883. Closing the prosecution case last week, Anne-Marie Lawlor SC said that the two men were acting in concert with one another when they retrieved and transported 167kg of explosives in a car. She outlined that the offence is contrary to section 9 of the Explosive Substances Act 1883, which states that an explosive substance shall be deemed to include any materials used or intended to be used for making an explosive substance. Two men who played roles in the murder of dissident Republican Peter Butterfly have been jailed by the Special Criminal Court this morning. Peter Butterly (35), pictured below, was chased and shot dead outside The Huntsman Inn, Gormanston, Co Meath in view of students waiting for their school bus on the afternoon of March 6, 2013. The father-of-three died from gun shots wounds to his neck and upper back. Michael McDermott pleaded guilty in November last year to helping an unlawful organisation murder Mr Butterly. McDermott admitted to knowingly rendering assistance to an unlawful organisation styling itself the Irish Republican Army, otherwise Oglaigh na hEireann, otherwise the IRA, directly or indirectly, in the performance or furtherance of an unlawful object, to wit, the murder of Peter Butterly, at diverse locations within the State, between March 3 and March 6, 2013, both dates inclusive. 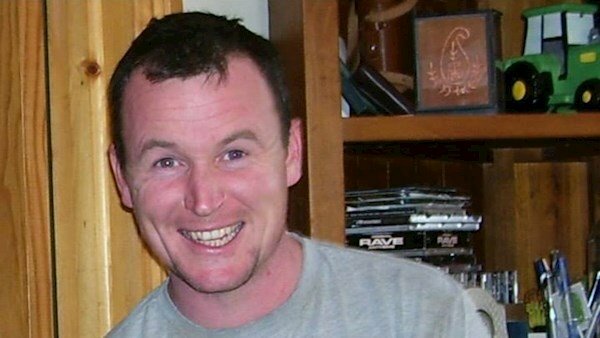 In the same month, Frank Murphy pleaded guilty to committing an act to impede the apprehension or prosecution of former accused-turned State witness David Cullen, knowing or believing him to be guilty of possession of a firearm in suspicious circumstances within the State on March 6, 2013. Both men had originally pleaded not guilty at the three-judge court to the murder of Mr Butterly and their trials had been underway since the beginning of October last year, the court heard. 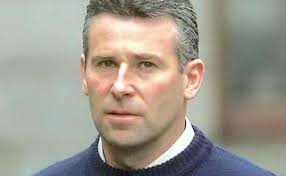 Sentencing McDermott this morning, Mr Justice Paul Coffey said the only assistance the court could be sure that the defendant was involved in was the recruiting and instructing of David Cullen in the disposal of the murder weapon. Having regard to the gravity of the offence, the judge said it was at the lower end of the higher range and the maximum sentence was eight years in prison. The appropriate starting point for this offence was six years imprisonment, indicated the judge. Although McDermott’s guilty plea was not offered at the earliest opportunity, it was timely and valuable, outlined Mr Justice Coffey. The court also took into account that McDermott has no previous convictions and is a “loving and supporting” husband and father. The judge said the court would reduce the headline sentence of six years to four years imprisonment. Following this, Mr Justice Coffey said the court would further suspend the last six months of the sentence on condition McDermott entered a peace bond to be of good behaviour. Mr Justice Coffey, presiding, sitting with Judge Martin Nolan and Judge James Faughnan, sentenced McDermott to four years imprisonment with the final six months suspended, backdated to October 12, 2018 to take into account time spent in custody. Referring to Frank Murphy, Mr Justice Coffey said the maximum sentence for impeding the apprehension or prosecution of a person was seven years in prison. The judge said Murphy had driven to Gormanston College with the intention of picking up David Cullen but he [Cullen] was almost instantaneously apprehended by gardai. There was unchallenged evidence that, on the day after the shooting, Murphy attended a meeting that was covertly recorded by gardai, the judge said. The court said the starting point for this offence was four and a half years in prison. The mitigating factors in Murphy’s case were that he has no previous convictions and has suffered from failing health in recent years. Mr Justice Coffey said that the defendant was also prepared to give an undertaking to the non-jury court not to associate with anyone in an unlawful organisation nor with anyone charged or already convicted by the Special Criminal Court. On account of this, the court reduced Murphy’s sentence from four and a half years to three years. Mr Justice Coffey said the court would further suspend the final year of Murphy’s sentence if he entered a peace bond. Sentencing Murphy today, the three-judge panel sentenced the defendant to three years imprisonment with the final year suspended, backdated to November 14, 2018 to take into account time already spent in custody. Following sentencing the two men gave little reaction before they were led away by prison officers. 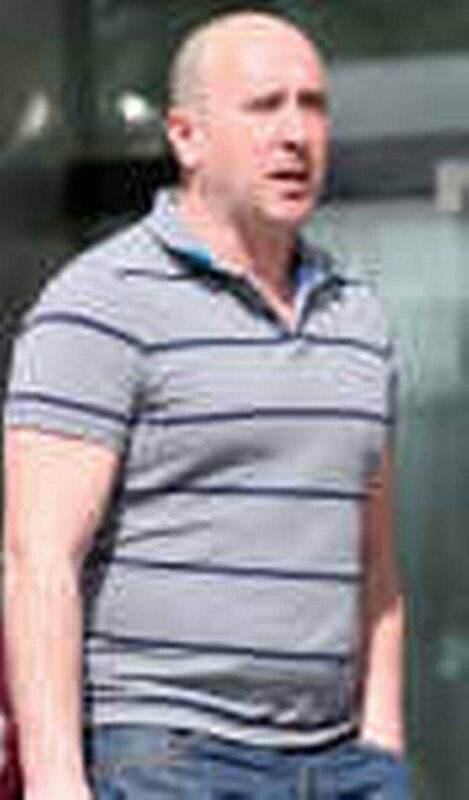 David Cullen was originally charged with the murder of Peter Butterly (35), from Dunleer, Co Louth, who was shot outside The Huntsman Inn in Gormanston on the afternoon of March 6, 2013. In July 2014, Cullen pleaded guilty to the unlawful possession of a semi-automatic pistol at the Huntsman Inn on the day of the shooting. His plea was accepted by the DPP and a nolle prosequi – a decision not to proceed – was entered on the count of murder and he turned State’s witness. Cullen was sentenced to seven years in prison, with three and a half years suspended, for possession of the firearm in July 2014. 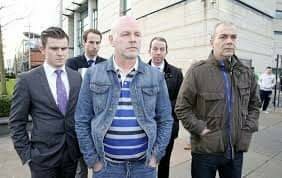 Four men – Kevin Braney (44), Edward McGrath (37), Sharif Kelly (49) and Dean Evans (27) – have all already received life sentences at the Special Criminal Court following convictions for Mr Butterly’s murder. 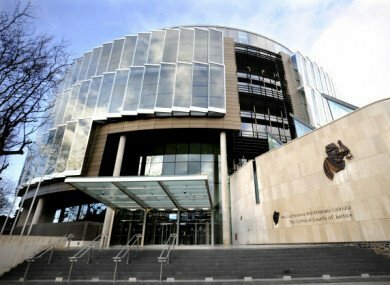 A man on trial at the Special Criminal Court gave no reply when asked by gardai to account for the presence of 150kg of explosives in a car in which he was a front seat passenger, the court has heard. The three-judge court has previously heard that armed gardai found four bags of explosives in the boot of a black Skoda Fabia car and 18 detonators under the front passenger seat when they stopped the vehicle on the Naas Road. John Brock (46) and John Roche (55) have pleaded not guilty to possession of 57kg of homemade explosives, consisting of ammonium nitrate fuel mix, and thirty-eight 2.5kg rolls of Kemegel industrial explosives at Naas Road, Dublin 12, on April 13, 2016. Detective Sergeant Thomas Power, of the ballistics section at the Garda Technical Bureau, told prosecuting counsel Anne-Marie Lawlor SC that he went to Cathal Brugha Barracks in Rathmines on April 14 and met Commandant Oisin Dawson of the Army Disposal Unit. Comdt Dawson showed him a number of bags which contained “38 sausage shaped packets” with Kemegel branding on them, which were all the same size and shape, he said. Det Sgt Power said he placed a sample of this in a container. Two animal feed bags were also produced and a sample of this was taken, said Det Sgt Power, adding that he was also given 18 discharged detonators. The witness testified that he went to the Glen of Imaal with Comdt Dawson on April 15, who placed the packets of Kemegel explosives in a hole and detonated them with a small charge. “They all exploded and were destroyed,” he indicated. 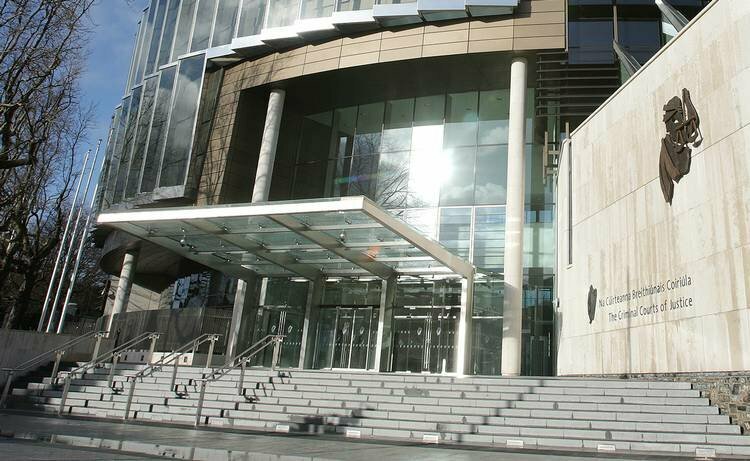 Forensic scientist Dr John O’Shaughnessy told the non-jury court that he works in the chemistry section of Forensic Science Ireland (FSI) and analyses explosives. The witness said he examined a number of items given to him by the Special Detective Unit (SDU), which had been recovered from a Skoda car. These samples included a wet and grey-like mixture called Kemegel, which is associated with industrial slurry-type explosives as well as hydrocarbon accelerants. The purpose of the examination was to determine if there were explosives present in the samples, the court heard. Dr O’Shaughnessy said he was satisfied that the samples examined were all explosives under the Explosive Substances Act 1883. Sergeant Raymond Tadhg, of the Special Detective Unit (SDU), told prosecution counsel John Byrne BL that he interviewed Mr Brock at Ronanstown Garda Station on April 15. The court heard that in Mr Brock’s subsequent interviews the gardai invoked Sections 18, 19 and 19(a) of the Criminal Justice Act and told him that a court may draw inferences from his failure or refusal to account for certain matters. Sergeant Tadhg asked Mr Brock to account for the presence of 18 detonators, 57kg of homemade explosives and thirty-eight 2.5kg rolls of Kemegel industrial explosives in a car, which he was a front-seat passenger in on April 13. Mr Brock gave no reply. Mr Brock was also asked to account for his presence at Behans Quarry on Windmillhill in Rathcoole, Co Dublin at 6.59pm on April 13. The accused man again gave no reply. Following this, he declined to sign the memorandum of interview. Ms Lawlor told Mr Justice Tony Hunt, presiding, sitting with Judge Patricia Ryan and Judge Ann Ryan that the prosecution had closed its case. The trial continues tomorrow. John Brock (46) and John Roche (55) are both charged with possession of 57kg of homemade explosives, consisting of ammonium nitrate fuel mix, and thirty-eight 2.5kg rolls of Kemegel industrial explosives at Naas Road, Dublin 12, on April 13th, 2016. Arraigned on the charges before the non-jury court today, Mr Brock and Mr Roche pleaded not guilty to the counts. The barrister further stated that the court will hear about “observations” of the two men in or around the N7, where the car was seen. He said it is the prosecution’s case that the three men were planning “how to go forward” and “regrouping” after the attack. The audio recording, which an expert had deemed “poor to very good quality” was played in court on Tuesday morning. The barrister also explained that experts had compared the voices on the recording with samples of the three defendants’ voices. After the recording was played to the court, lasting almost an hour, the prosecution barrister said it indicated part of “a joint enterprise”. He said the men were discussing a “terrorist event” and he pointed out that the alleged conversations between the three men referred to “a lack of weapons in the north”. He said the prosecution believes that Mr Duffy told Mr Fitzsimmons and Mr McCrory, during the recorded conversations, that “the main thing is that no one has been caught”. The barrister said prosecutors believe the case is linked to a “faction of dissident republicanism”.